This phone course is offered annually, for candidates to explore their interest in taking vows with Svaroopa® Vidya Ashram. Click here for more information about the different levels of vows for yogis' differing situations. All levels require an application and Swamiji's approval. At some levels, this Vows Preparation course is a prerequisite. This course is an opportunity to clarify your commitment and your goal, as well as to prepare for our Vows Retreat (date TBA). Click here for your Vowed Order Application. Vows Applications are being accepted through July 31 2018. Prerequisite: formal approval and invitation to take this phone course, after the application and interview process; Shishya Member and Monthly Donor Member. Other prerequisites depend on the level of vow you are taking - click here for more information. September 19, October 10, October 31, November 14, December 19, January 2 2019, January 16, January 30, February 13, February 27, March 13, March 27 & April 10. These are discussion calls, thus they are not recorded. Vowed Order members receive a 40% re-take discount. Click here to to add your name to the "Vows Preparation Course - Vowed Members" waitlist. No Scholarships are available. 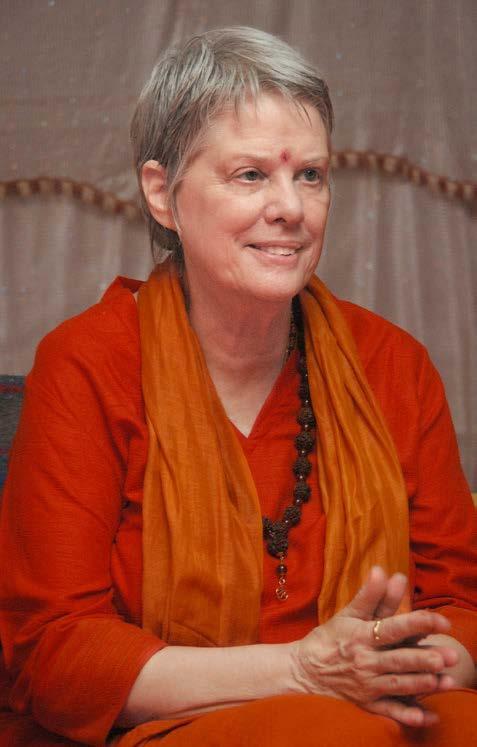 You may study with Swami Nirmalananda without taking vows, in other phone courses as well as free programs, and retreats and professional trainings, plus our many online Freebies.